The attack was carried out by soldiers of the Der Führer Regiment of the 2nd Waffen-SS Panzer Division Das Reich. On that day they killed a total of 642 men, women and children without giving any reasons for their actions and to this day there is no universally accepted explanation for the massacre. The narrative, In a Ruined State, gives a full description of what happened on the 10th June 1944 and reviews all the current explanations offered by different authors for the event. In addition there are over 200 photographs in the Picture Gallery and much supporting data in the Appendices, including advice on how to get there and places to stay in the area. 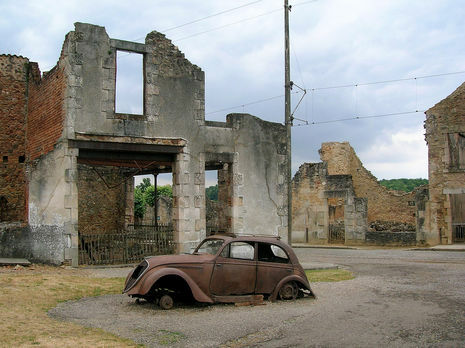 On June 10, Diekmann's battalion sealed off the town of Oradour-sur-Glane, having confused it with nearby Oradour-sur-Vayres (some disagreement on this point, see esp. Max Hastings, Das Reich, who states reasons for believing no such confusion), and ordered all the townspeople – and anyone who happened to be in or nearby the town – to assemble in the village square, ostensibly to have their identity papers examined. In addition to the residents of the village, the SS also apprehended six people who did not live there but had the misfortune of riding their bikes through town when the Germans arrived. All the women and children were then taken to and locked in the church while the village itself was looted. Meanwhile, the men were led to six barns and sheds where machine-gun nests were already in place. According to the account of a survivor, the soldiers began shooting at them, aiming for their legs so that they would die more slowly. Once the victims were no longer able to move, the soldiers covered their bodies with fuel and set the barns on fire. Only six men escaped; one of the six men was later seen walking down a road heading to the cemetry and was later shot dead. 190 men died. 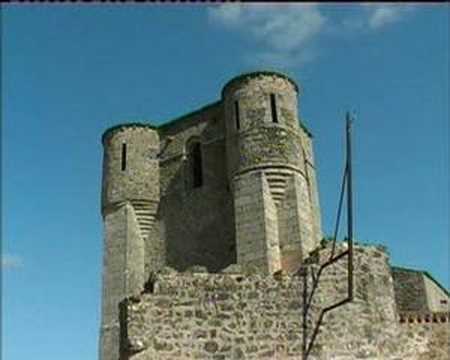 The soldiers then proceeded to the church and put an incendiary device in place there. After it was ignited, women and children tried to flee from the doors and windows of the church but were met with machine-gun fire. Two hundred forty-seven women and two hundred and five children died in the carnage. Only two woman and one child survived, 47-year-old local housewife Marguerite Rouffanche. 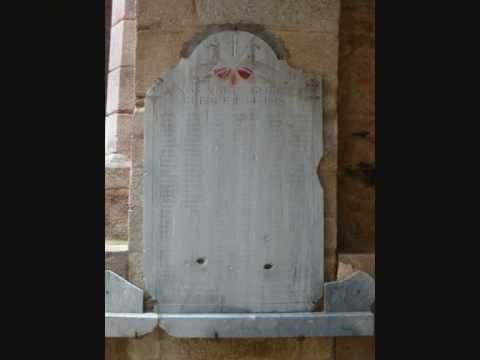 They had managed to slide out of a small window at the back of the church and had dropped 10 feet, at which point the Germans heard the child cry and began to shoot at them, Marguerite Rouffanche's companions died and she was wounded, she crawled and hid in the some pea bushes behind the church overnight until she was rescued. 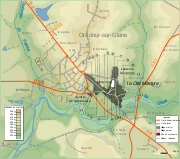 Another small group of about twenty villagers had fled Oradour-sur-Glane as soon as the soldiers had appeared. That night, the remainder of the village was razed.